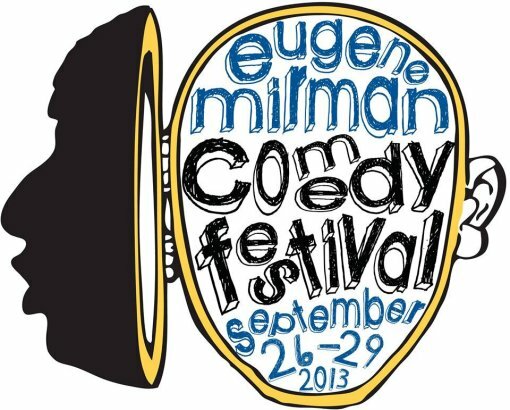 Hey folks, the 6th Annual Eugene Mirman Comedy Festival starts tonight (Sep 26) and runs through the Sunday at The Bell House and Union Hall. The EUGENE MIRMAN COMEDY FESTIVAL announces another amazing line up of comedy shows for its 6th annual Brooklyn-based festival. Featuring expert curator and comedy host extraordinaire Eugene Mirman and an all-star cast of comedians, actors, musicans and super surprise guests, the EMCF has been called “the best ironic-comedy-festival-but-also-real-comedy-festival known to man” (HuffingtonPost) and “a fall highlight in the local comedy scene” (Time Out New York). EMCF 2013 sees the return of popular shows like StarTalk Live! and the legendary Invite Them Up and Pretty Good Friends. The festival is packed with amazing performers such as Kristen Schaal, Jim Gaffigan, Ira Glass, Wyatt Cenac, Jon Benjamin, Neil deGrasse Tyson, Michael Che, Kurt Braunohler, Leo Allen and many more! For those of you who can’t make it to the comedy fest this weekend, or if Manhattan is more your thing, you can catch Eugene and friends at the Gramercy Theatre on Oct 22 for A NIGHT OF COMEDY, MUSIC AND OTHER AWESOME STUFF!! to benefit. The evening’s featured performers will include Eugene Mirman, Todd Barry, Wyatt Cenac, Janeane Garofalo, Judah Friedlander and Rhett Miller of the Old 97s. To buy tickets (and have a direct impact on children’s lives), visit http://venue.thegramercytheatre.com/event/CMS249. Doors open at 7pm with an 8pm show time. View the full EMCF 2013 lineup after the jump. With Jim Gaffigan, Ira Glass and Monica Bill Barnes and Anna Bass, Wyatt Cenac, Eugene Mirman & more! With Jim Tews, Seaton Smith, Kate Berlant, Adam Newman and more! Hosted by Bobby Tisdale with Eugene Mirman, Michael Che, Mehran Khaghani and more! Hosted by Kurt Braunohler and Kristen Schaal with Eugene Mirman, Leo Allen, Nick Turner, Bridgett Everett and more! With Sean Donnelly, Jena Friendman, Dan St. Germain, Claudia Cogan, Josh Gondelman and more! Performances by cast members and guest stars with Eugene Mirman, Kristen Schaal, Jon Benjamin, Larry Murphy and more! Followed by a live premiere screening after-party. With Myq Kaplan, Mike Drucker, Ken Reid and more!